During the campaign, Jerry Brown was fairly vague on what he would do as governor, especially on how he would resolve the state’s chronic budget problems. “It will evolve,” one of Brown’s pet phrases from his first governorship, was the unspoken credo of the campaign for his second. There was, however, a notable exception to Brown’s vagueness – water. He published a fairly specific policy paper on water, reflecting his own extensive experience with its complicated politics. 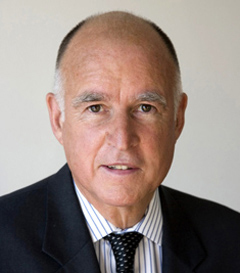 As governor three decades ago, Brown attempted to complete the State Water Plan that his father launched in the 1960s. The system that gathers water from as far north as Mount Shasta and transports it as far south as San Diego had – and still has – one troublesome choke point: the Sacramento-San Joaquin Delta.